Comics Impulse v2: Halo 3 In Stores Now! Halo 3 In Stores Now! Halo 3 is now on sale... GameSpot reported that 4.2 million units of Halo 3 were in retail outlets on September 24, 2007, a day before official release, a world record volume release. The game features new vehicles, weapons, and gameplay features not present in the previous titles of the series. 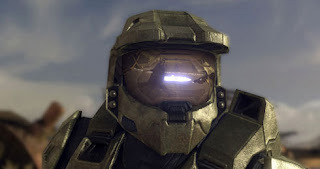 Halo 3 focuses on the interstellar war between 26th century humanity and a collection of alien races known as the Covenant, who after a decades-long war have begun the invasion of Earth. The player assumes the role of the Master Chief, a genetically enchanced cyborg supersoldier, as he wages war in defense of humanity. Don't forget there's a $59.99 "Regular Edition", a $69.99 "Limited Edition" and a $129.99 "Legendary Edition" complete with a replica helmet worn by Master Chief (which apparently had some design flaws). Microsoft has stepped up and admitted fault on this issue on their website today. They are offering to replace the faulty disks for free, if you sign up for their disk replacement program. A new $399.99 Special Edition Xbox 360 with a "Halo"-themed custom paint job — Halo 3 not included. Expect productivity for the next few weeks to drop (just kidding).